Another day, another track premiere - brought to you once more by our friends at Tycho Magnetic Anomalies. I've been loosely following the works of prolific artist Demian Johnston for the past few years or so, admiring the excellent craftsmanship behind his Dead Accents label, the timely reviews for his Dead Formats blog, and, of course, his many projects. Johnston's most consistent (as far as time between releases) line of output exists within the misshapen, blackened halls of BLSPHM. As far as "black noise" goes, new track "The Terrible Fire" is a sort of anomaly. Black noise, in my experience, can fall into two groups, one being of the excessively raw, hyper-distorted, primitive variety, and the other more rooted in power electronics and harsh industrial sounds with black metal rasps atop. This particular blsphm track doesn't really reside in either category. Taking cues from the static, "blank canvas" scope of HNW (that's "harsh noise wall" for all you laymen), Johnston crafts a dense wall of harsh harmony, not unlike, say, an atmosphere found within a Paysage d'Hiver, and lets it sort of "coast" for its five-minute duration. 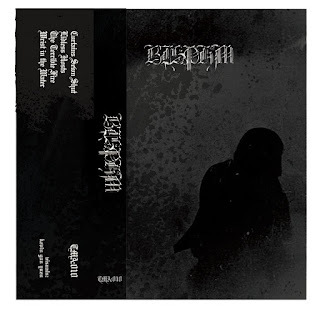 It's a neat take on a now stale and uninspired genre, with an overall feel akin to Tim Hecker's black metal-obsessed cousin or former Debacle Records labelmates Dull Knife (featuring Garek Druss from A Story of Rats) with harsh vocals. I'm a sucker for the "brilliantly lit whirlwind of glass shards" sort of music, so I can totally get behind this. "The Terrible Fire" is merely one track from the awesome Ghosts Beneath Our Clothes cassette, released yesterday, The Ides of March, by New Jersey label Tycho Magnetic Anomalies, with artwork by our good friend Kevin Gan Yuen. Be sure to check this one out, though I expect it will be a challenge for a few of you. 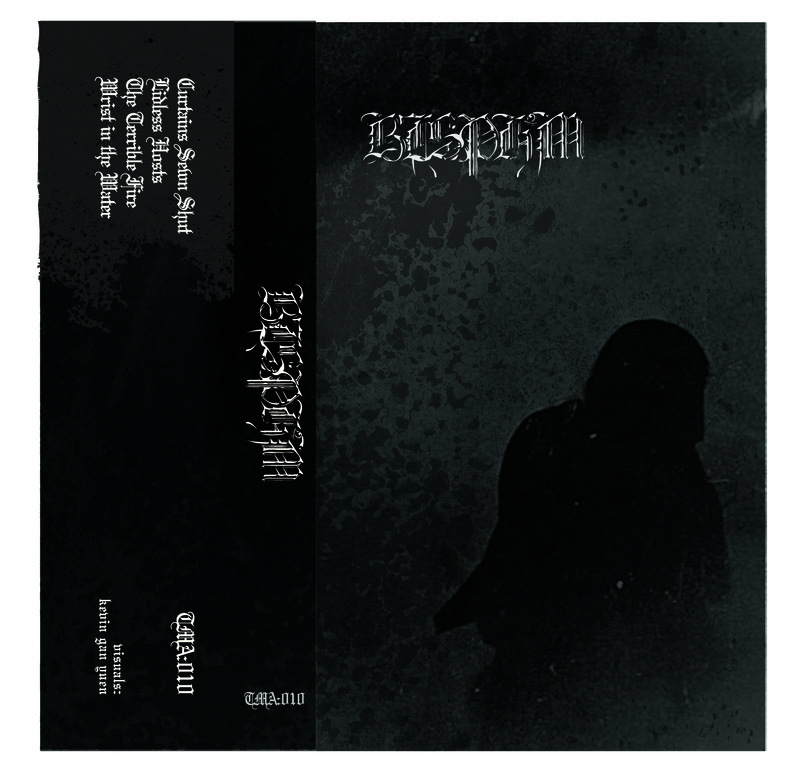 "blsphm takes you on a bleak and darkened noise trip hell bent on terrifying your most precious sensibilities. Art by Kevin Gan Yuen offset printed inserts.